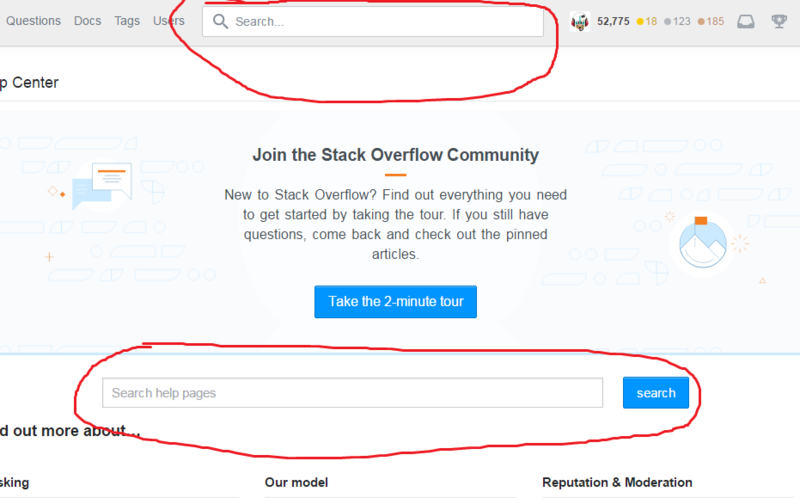 The prominence of the new search bar is going to override the ability to search in the help center as seen below. Most users finding their way to help are going to end up searching in the wrong bar. If the argument is that new users don't even know to click on the help center, how can they then be expected to know which search bar to use here? They cannot. Moreover, if there is a desire to remove the help icon (as stated by staff) then it only seems rational to actually include the help in the search results for meta. Searching for banned in the meta search bar should return the 3 results from the help center, for example. This should not be complicated to implement. Meta searches are much lighter weight than the main searchers are, and as a result should easily have room to issue a simultaneous search that pairs these two results. Simply prepend the help center results to the meta results. As the help center is already rather narrow in scope, this will never be a large impact and should be the source material returned when there is a match anyway. While it may not seem terribly important to do this because hand waving, it is very important to allow new users the opportunity to find these help files. It has been statistically shown that users who view the MCVE help page for example are more likely to ask a question which stands the test of time. Allow the meta search bar to include help center results. Browse other questions tagged feature-request search meta help-center . Is the tour encouraging users to gloss over guidelines when asking questions? Should “Professionals and enthusiasts” be qualified in the help center? 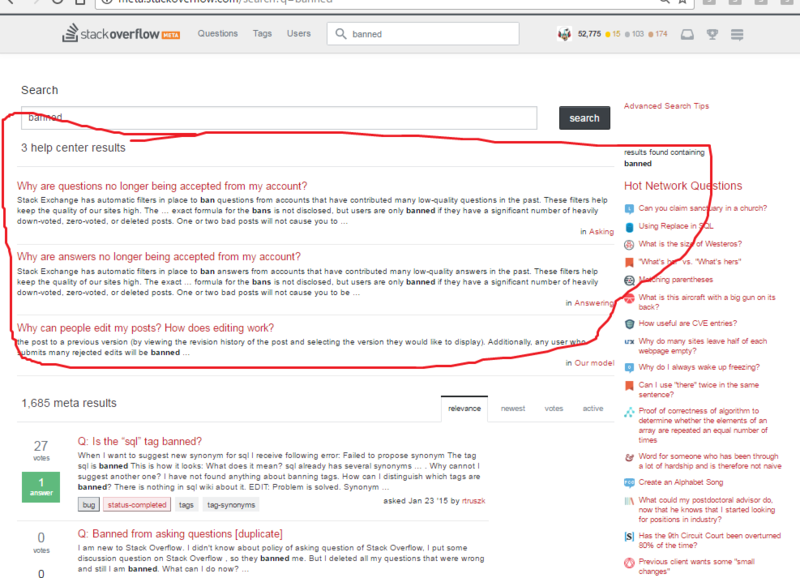 Is the “Here's how it works:” part in the Help Center a possible source of confusion to new users? Why not show the help center immediately after a user registers?